Christmas is just a few days away, and if your kids are anything like mine, there will be tablets under the tree. Filling those tablets with books to read doesn't have to be expensive. 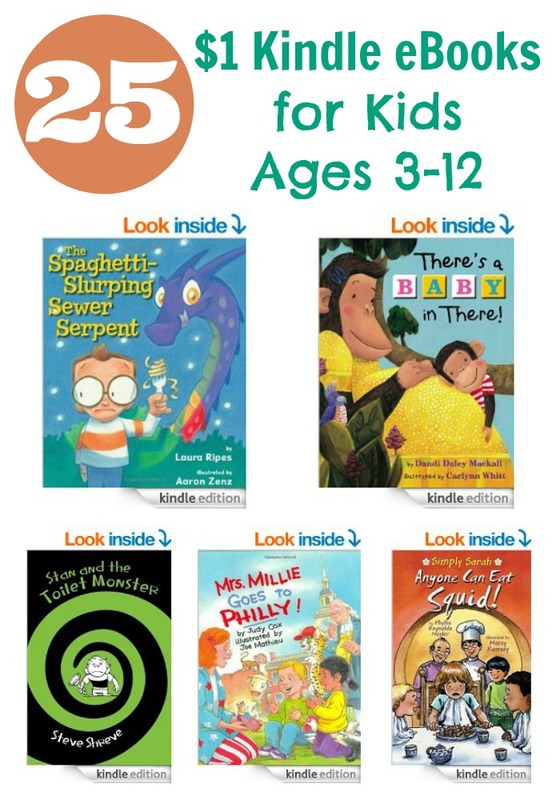 Even if your child didn't get a Kindle brand tablet, the Kindle app can be download to most devices, and Amazon has some great deals on Kindle ebooks for kids that are only $1. Check out the 25 great deals below for a variety of age ranges, and fill up their Kindle on a budget! We love Kindle Books that are such good deals on Amazon. We love reading at our house and these are such great books to sit down and read! What great deals. My grandson just got a kindle for Christmas this is great.